500cc: First 2010, 2011, 2013, Second 2016, 2017. Eastern Centre Championship: Uprights Second 2018. Midland Championship: 500cc Joint First 2006, Uprights First 2016. South Midland Centre Championship: Uprights First 2018. Battle of Britain: First 2011, Third 2018. Jon Underwood: Two Valve Third 2010, Pre 75s First 2012, Second 2011, Uprights Second 2016. Ledbury Leader: 350cc First 2007, Second 2003, Third 2008, P500 First 2011, Second 2010, Uprights Second 2015, 2018. Master of Midshires: First 2009, 2010, Second 2011, Second 2015. 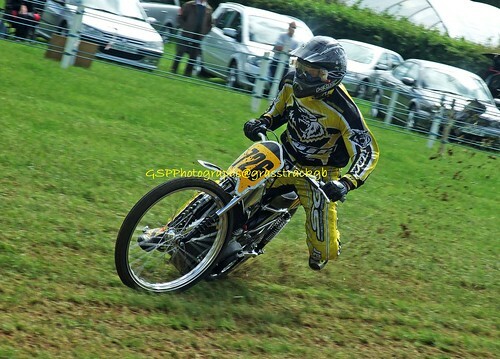 Peterchurch Show: 500cc Third 2007, Pre 75 First 2009, Second 2011. Three Pairs Flyer: Second 2004, Third 2003. 2018: First Bridgwater x2, Worcester, Ledbury x2, Helsby, JCR, Bewdley; 2017: First Bewdley, Bristol x2, Bridgwater, Danebury, Second Ledbury, Third Bewdley; 2016: First Ledbury, Worcester, Bridgwater, Second Ledbury; 2015: First Ledbury, Second Bridgwater x2; 2014: First Wimborne, Second Bridgwater, Bristol, Ledbury, Third Fenland; 2013: First Wainfleet, Ledbury, Peterchurch, Third Fenland, Bridgwater; 2012: First SWeGA, Worcestershire x2, Second Ledbury, Bridgwater, Third Dunmow; 2011: First Bristol, Somerton, Ledbury, SWeGA, Worcestershire, Grassroots, Heart of England, Second Bridgwater, Third Fenland; 2010: Second Worcestershire x2, Ledbury, Third SWeGA, Cheshire, Bridgwater; 2009: Second FGA, Third Bristol, SWeGA.